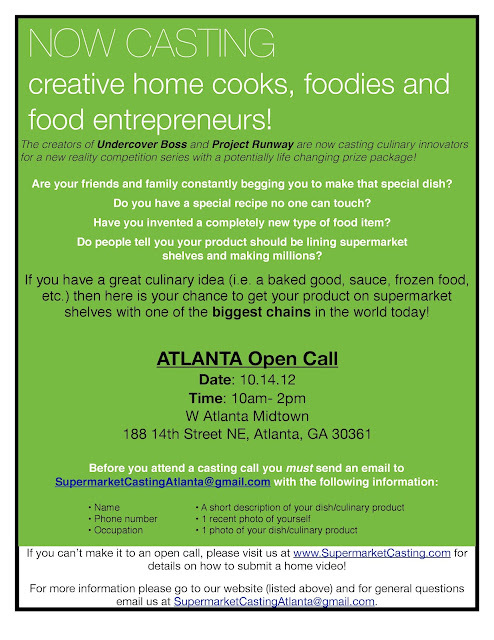 Now casting in Atlanta, home cooks, foodies & food entrepreneurs for new reality competition series! 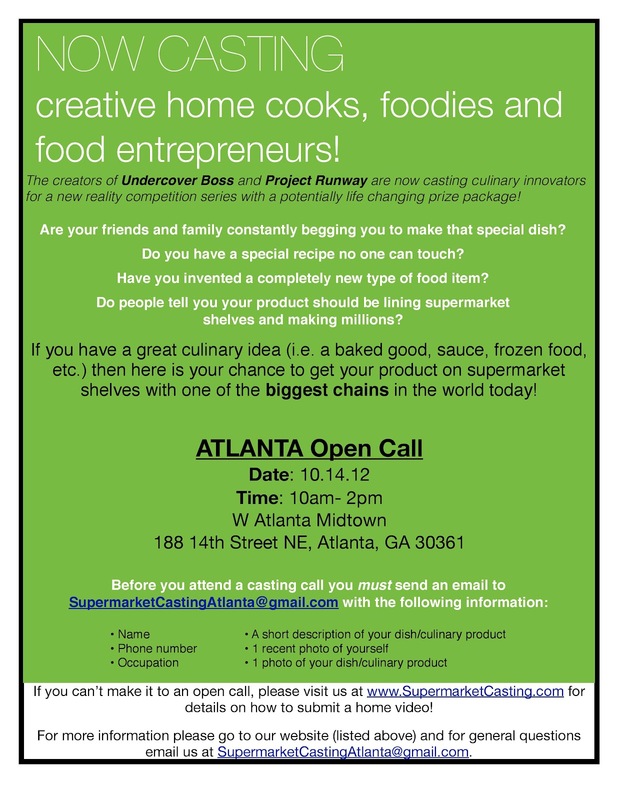 JS Casting is searching for foodies, home cooks, and food entrepreneurs who want to compete for the chance to get their dish/culinary product on supermarket shelves with one of the biggest chains in the world today. From the creators of Undercover Boss and Project Runway, culinary innovators will compete for the chance to get their dish/culinary product on supermarket shelves with one of the biggest chains in the world today.